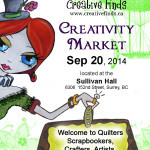 at Sullivan Hall (6306 152nd Street) on Sept 20th! We are hosting a CREATIVITY STATION at our fabulous Market from 11am-4pm! – Come ART JOURNAL… while your young ones colour next to you! – Coloured pencils and crayons will be available for use! – ART JOURNALING sample kits can be purchased from Nicci Dot C A for just $20.00 & up! 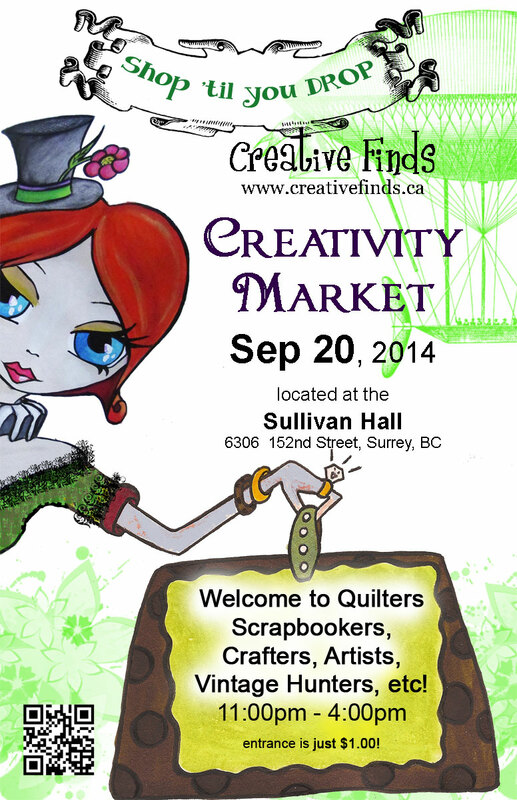 (includes ‘how-to’ sheets, water colour paper, fancy ribbon, ephemera, decoupage-able art images, and much more! – Kids colouring kits are just $5.00 (includes twelve 8.5″ x 11″ pages featuring Nicci’s fun Gltzy Galz ) ! Bring along your own dry media art journaling supplies to create with, if you wish!!! Previous PostPrevious Don't get too spooked! Next PostNext Are you looking for some FREE inspiration this Fall?